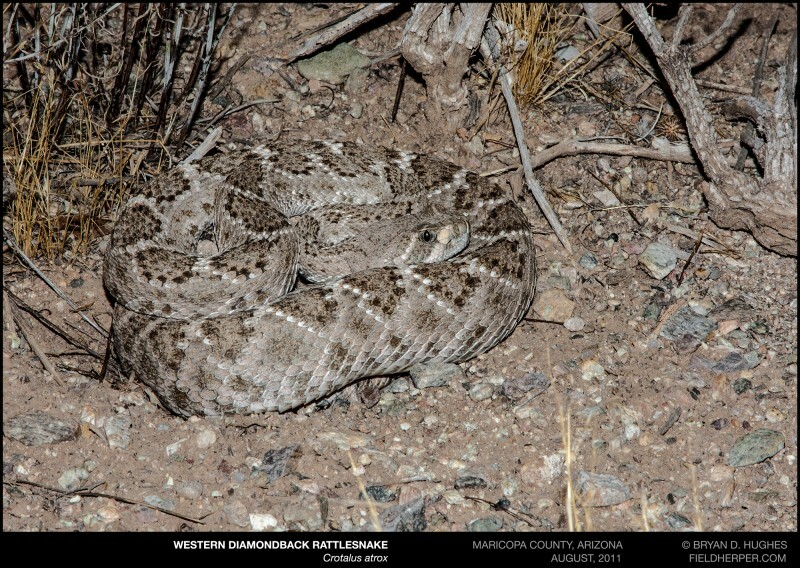 On of my favorite ways to find rattlesnakes is to just hike at night, when they are out in the wide open and fairly easy to find. Where 6 or 7 years ago I’d just not do a lot of successful herping in the super hot dry month of June, now it’s perhaps the easiest month to see some animals. 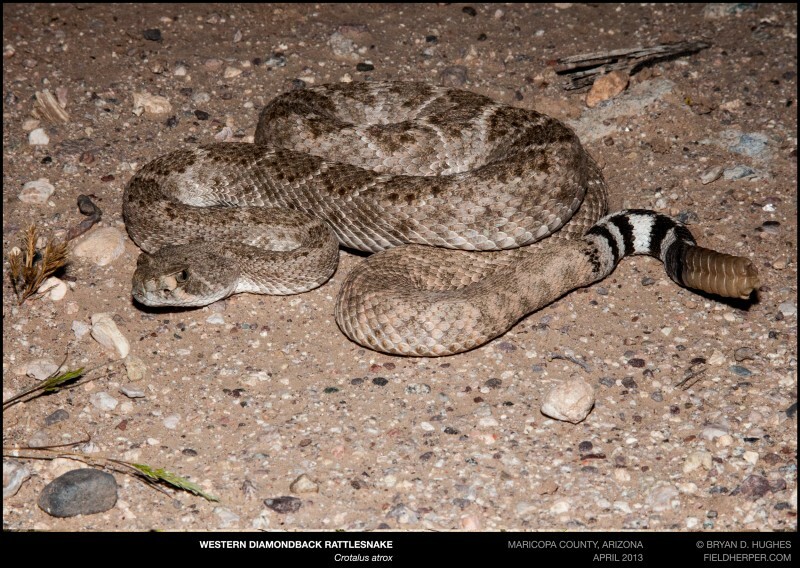 As snakes’ activity is minimized to due the extreme heat, they’re drawn to aestivation areas in relatively predictable areas, and are almost stuck there. 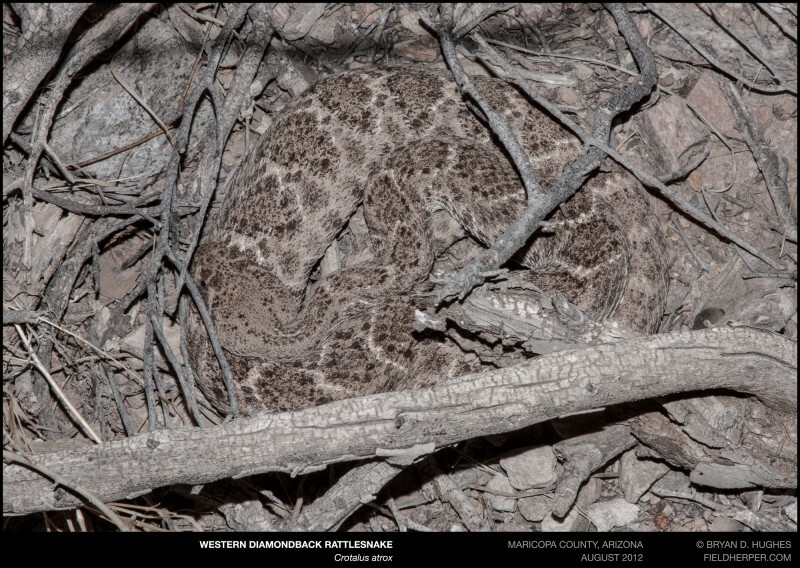 I have dozens of diamondbacks, for instance, in the Phoenix area that I know exactly where and when to find them at that time – it’s almost disorienting when the rain finally comes and everything moves off again. Here are just a few of the regulars. I don’t usually photograph them after the first time – so that I don’t disturb them, and simply because I don’t need to. They are sitting more or less in the same exact place each night. 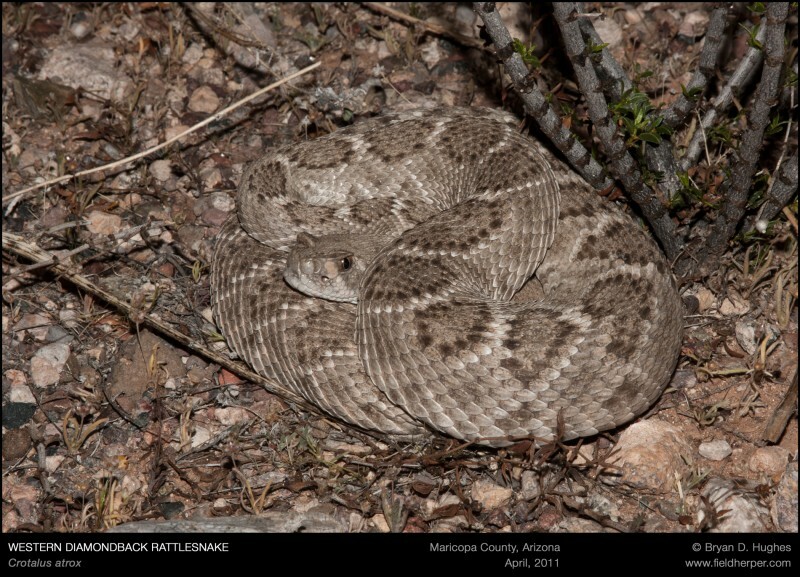 This entry was posted on Sunday, June 29th, 2014 at 8:05 am	and is filed under Behavior, Field Herping, Snakes. You can follow any responses to this entry through the RSS 2.0 feed. You can leave a response, or trackback from your own site.